A sneak preview of The Flash, guest-starring Gorilla Grodd! 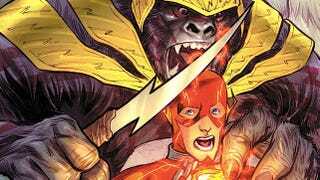 Continuing the debut of Gorilla Grodd in DC Comics –- The New 52! The Flash travels to Gorilla City for the first time! Who are the "Runners" –- and what do they mean for The Flash and the Speed Force?